Coca-Cola India Pvt Ltd, the local unit of American beverages maker Coca-Cola Co is set to launch whipped frozen fruit snacks, or frozen desserts, by the end of this year. The company has started test marketing the products in select pockets of Bengaluru. “We are piloting with a range of products that we call ‘Beverage Plus’. These will be made of locally sourced fruits. And these are not pure beverages. We are planning to launch them in the fourth quarter this year,” said T Krishnakumar, president (India and southwest Asia), Coca-Cola. The move comes as part of the firm’s global strategy to build a portfolio beyond carbonated drinks and offer healthy options for its consumers worldwide. Going by the company’s test marketing approach, for starters, Coca-Cola is likely to leverage the institutional formats, such as movie theatres and vending carts at malls for the products. Krishnakumar declined to share further details of the new products. Coca-Cola first started testing the market with whipped frozen fruit desserts, which it calls frozen fruit snacks, in Australia more than two years ago, under the brand name Perfect Fruit. Perfect Fruit is sold by Coca- Cola Amatil, one of the largest bottlers of Coca-Cola globally. The American beverages maker also sells smoothies under the Minute Maid brand in Canada. “This is an interesting play. 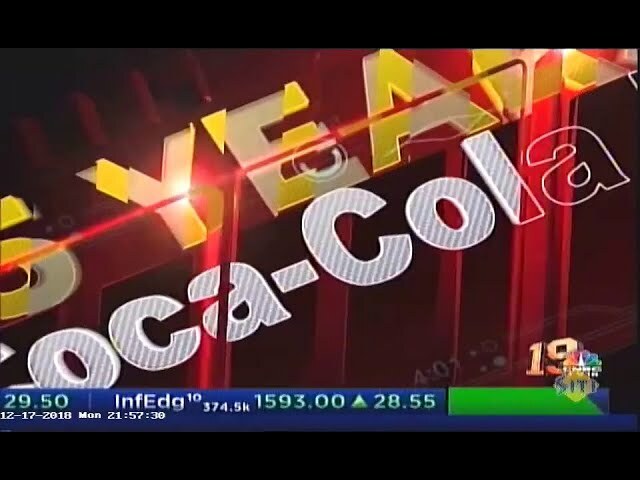 While this may be Coca-Cola’s entry into the frozen segment, the company must be having the ambition to establish a bigger presence in the segment and bring more fruit-based products, such as fruit nutrition bars,” said Rajat Wahi, partner, management consulting at Deloitte India, commenting on the firm ’s focus on ‘Beverage Plus’ category. The company, however, may not bring its global products to India. The frozen fruit desserts here are likely to be tweaked to suit the taste buds of local buyers. India’s ice cream and frozen desserts market is projected to grow at an annual rate of 11 percent between 2016 and 2021 to reach 17,000 crore, according to a December 2016 study by market research firm Euromonitor International. Coca-Cola, which has been witnessing slower growth in India over the past couple of years, is planning to launch a range of beverages, carbonated and non-carbonated, in lndian flavours such as jal-jeera, over the next few months. As part of this, Coca-Cola is reviving RimZim to launch jal-jeera nationwide. “We are also extending our water brand Kinley to a range of aerated drinks with flavours such as lemon, orange and jeera,” added the Coca-Cola president.